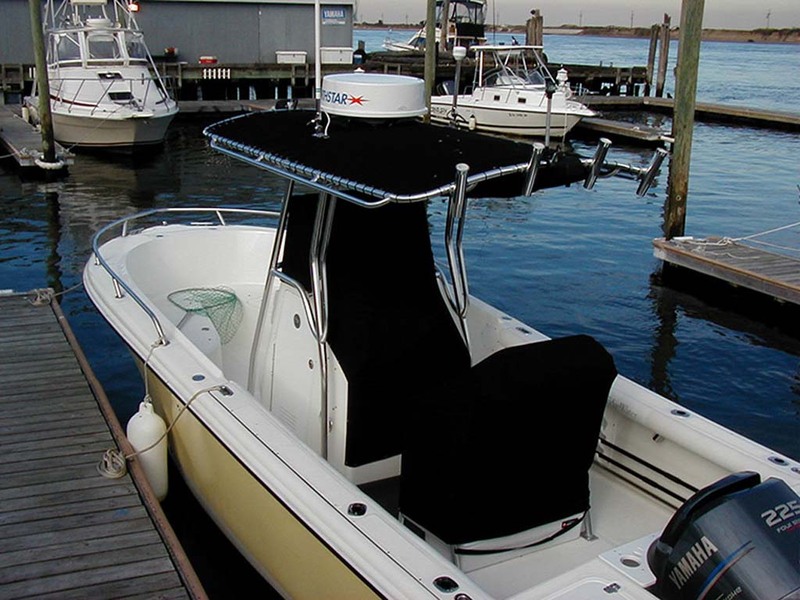 Whether you need a cockpit cover, a dashboard cover, a bow cover, or a custom winter cover, we can custom fabricate it for you. 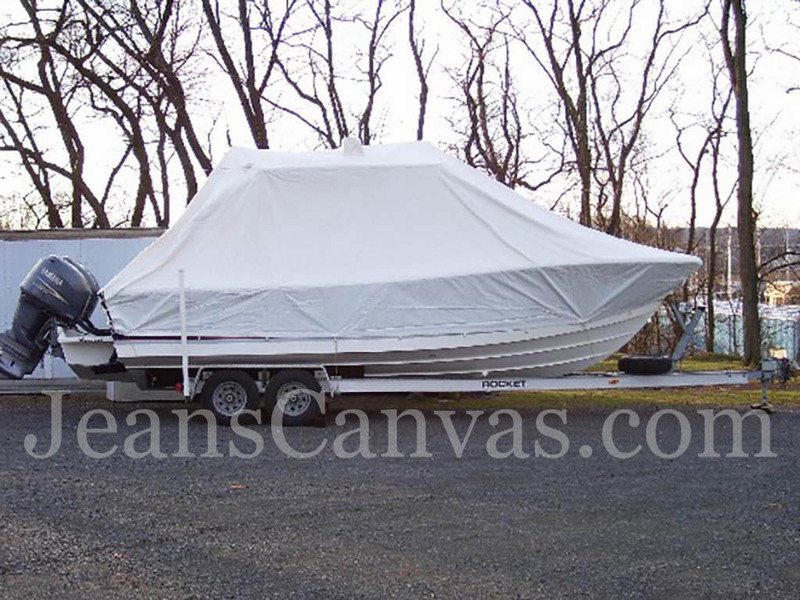 Call us and we will help navigate towards the ideal solution for your challenge or project. 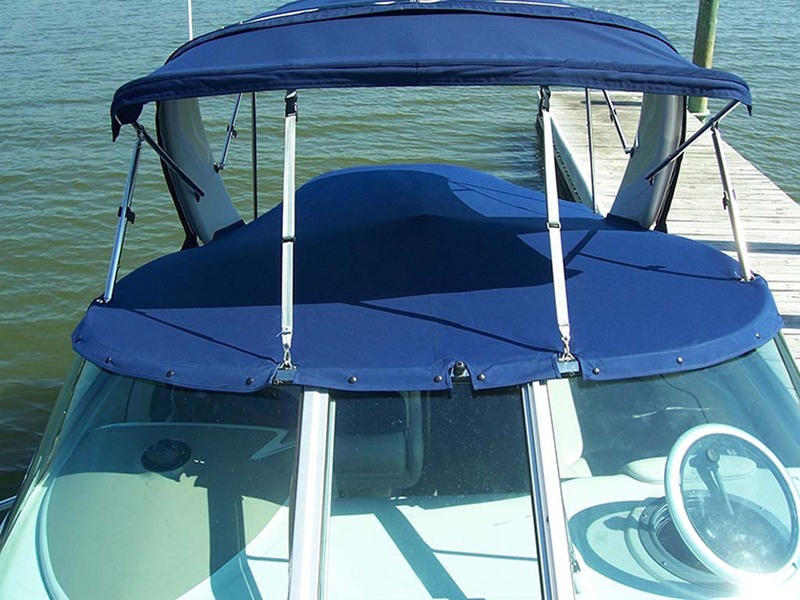 Made with material of your choice: Sunbrella, Vinyl, Duck Canvas. 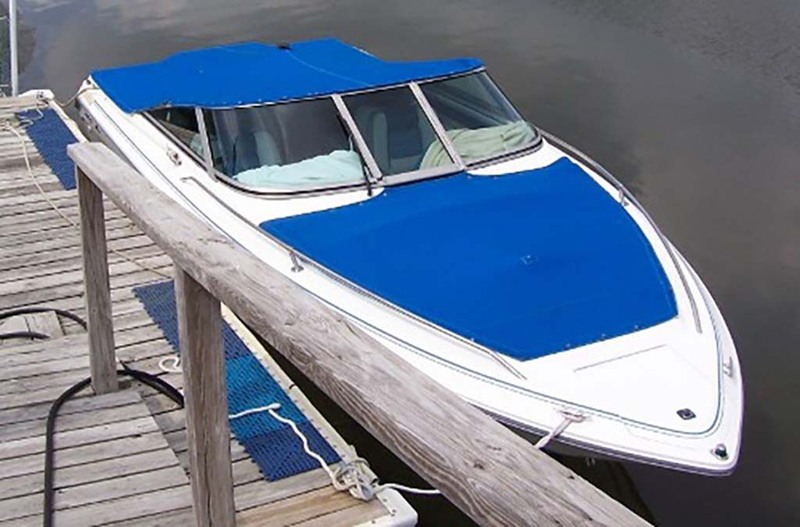 We measure to fit your boat exactly. 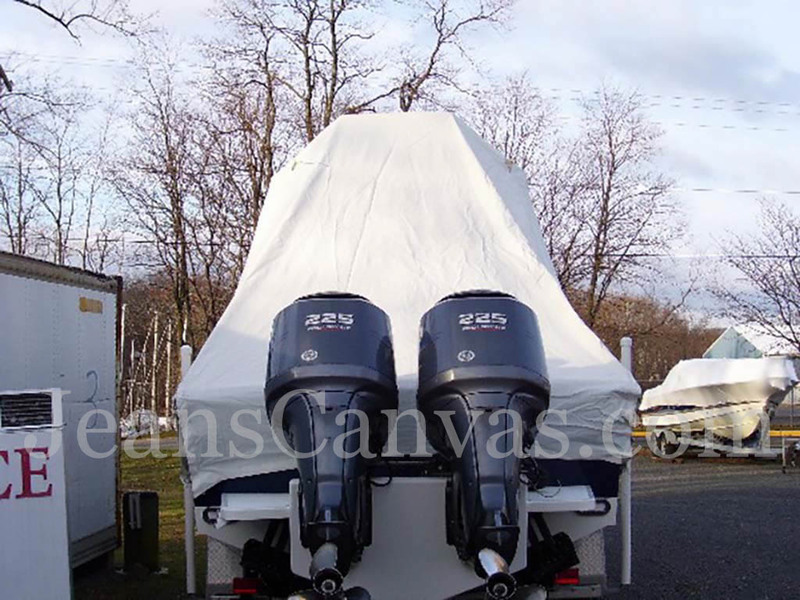 Includes: (2) screens to vent heat and moisture. 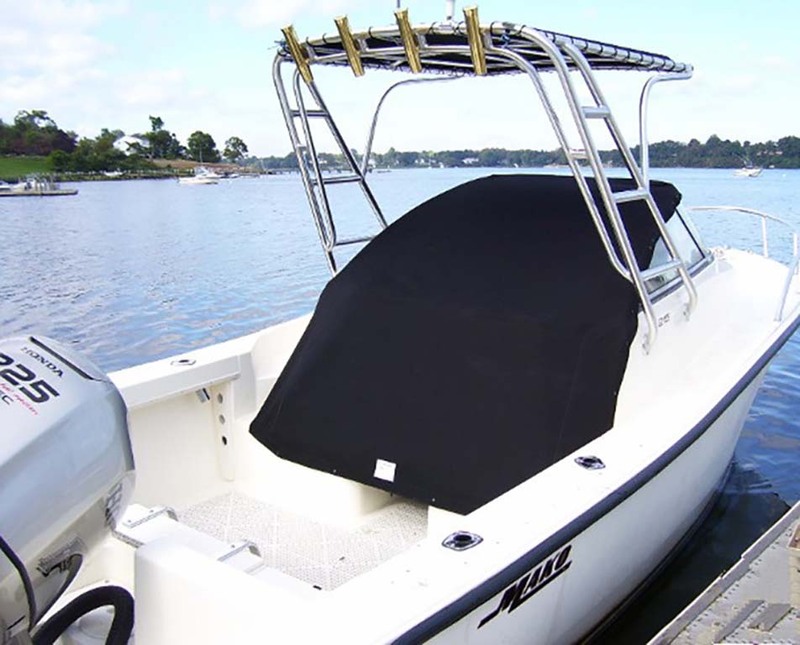 Options include: sleeves to accept pipes, draw string bottom, zipper access door, frames. 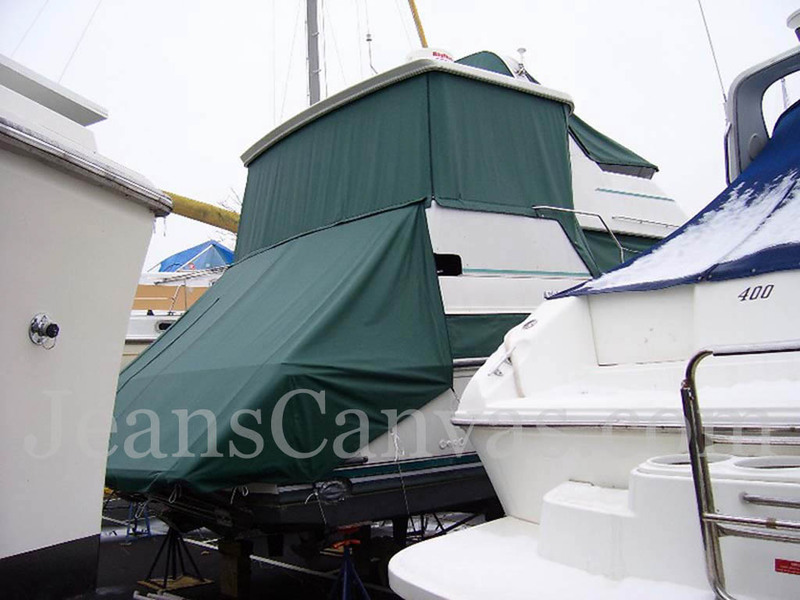 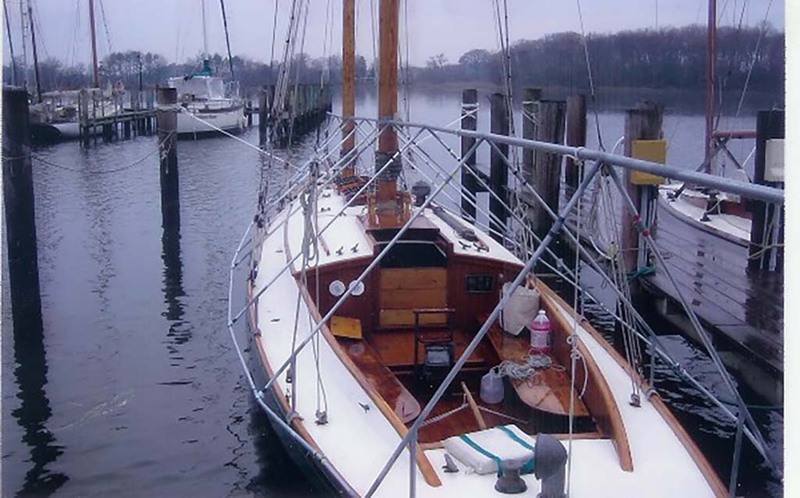 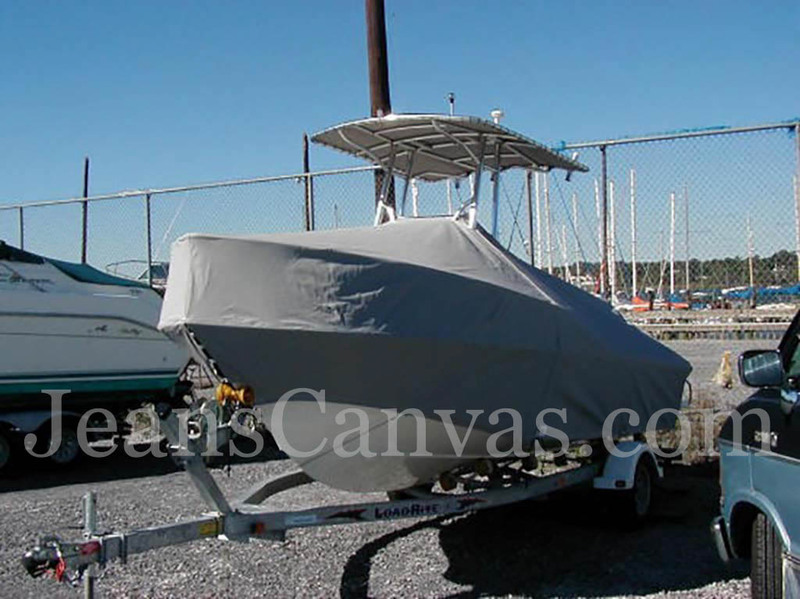 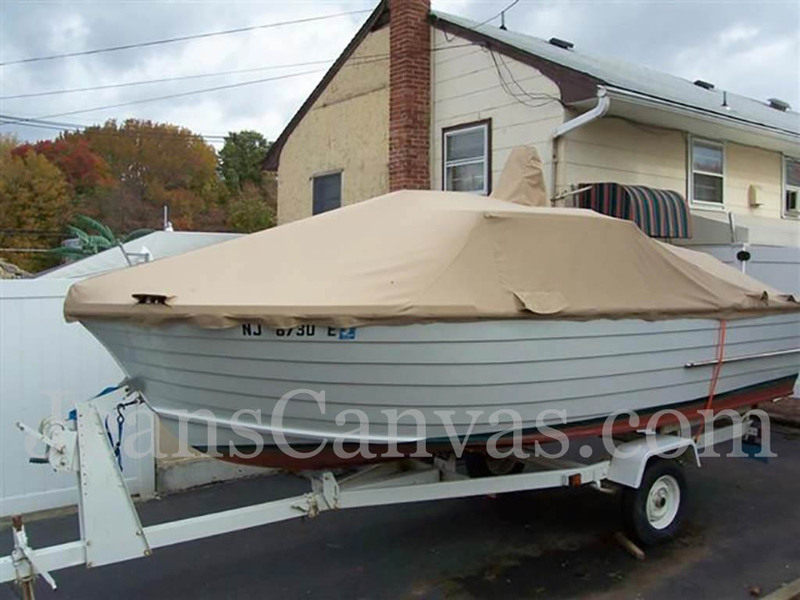 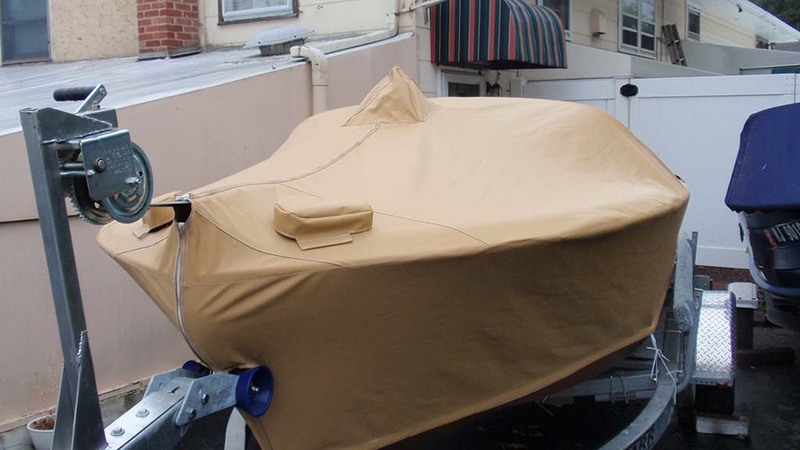 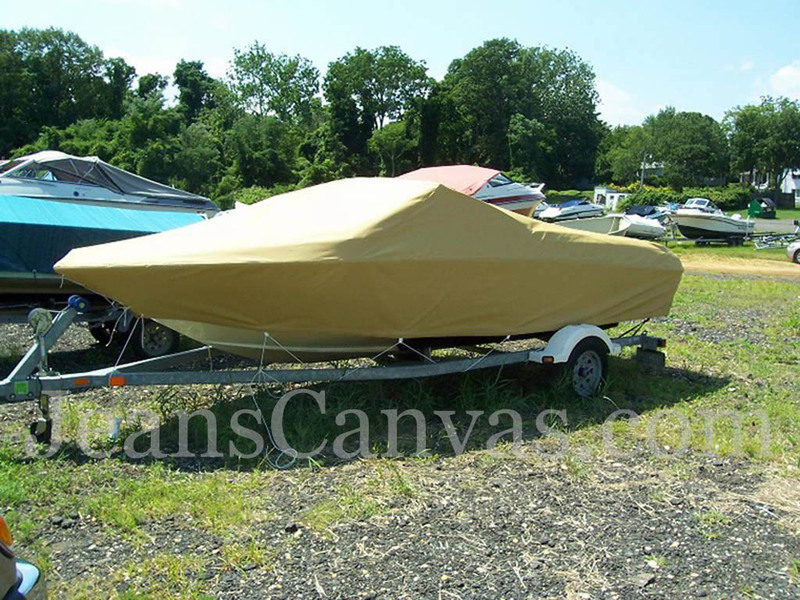 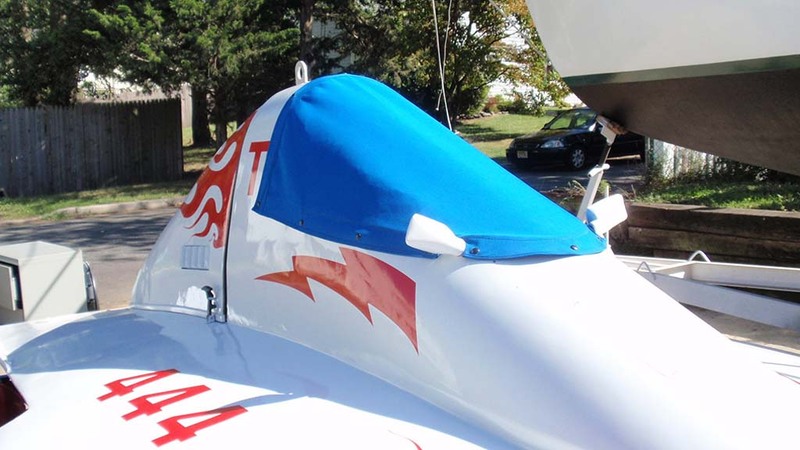 Best pre-made winter covers available for the budget conscious boat owner. 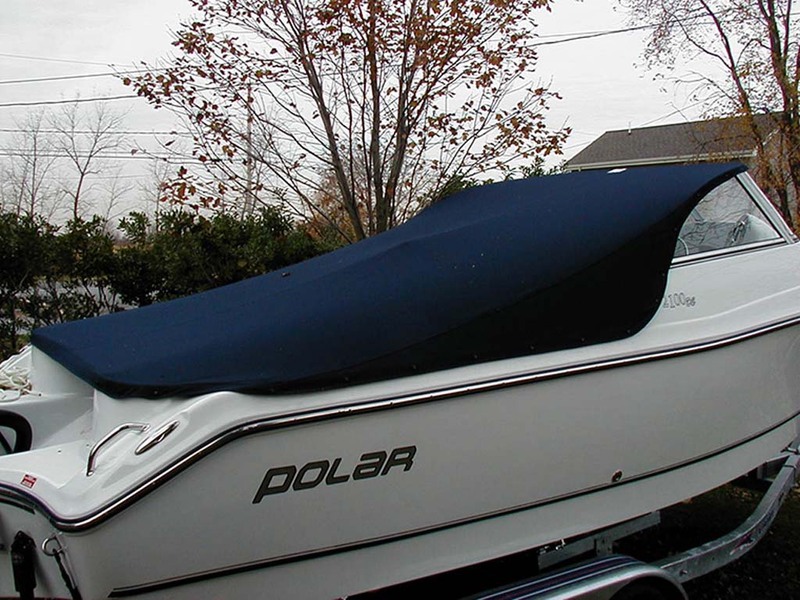 Designed specifically for winter, snow and wind. 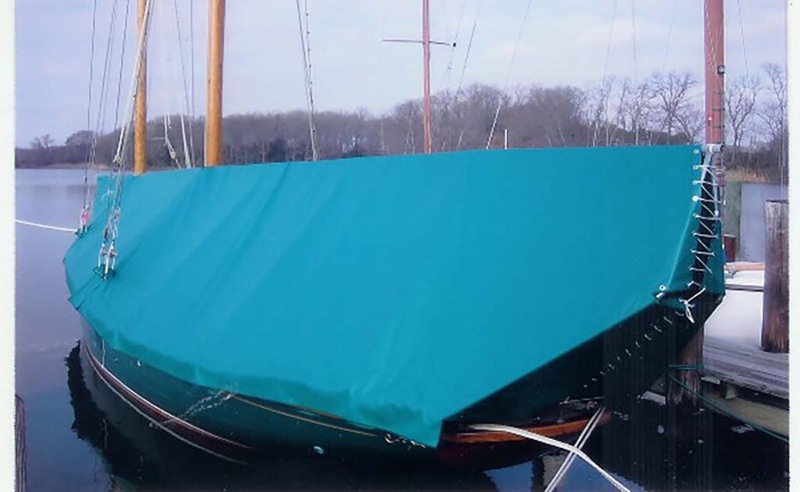 Includes sewn in sleeves to accept 2' x 4's when necessary to support cover from heavy snow. 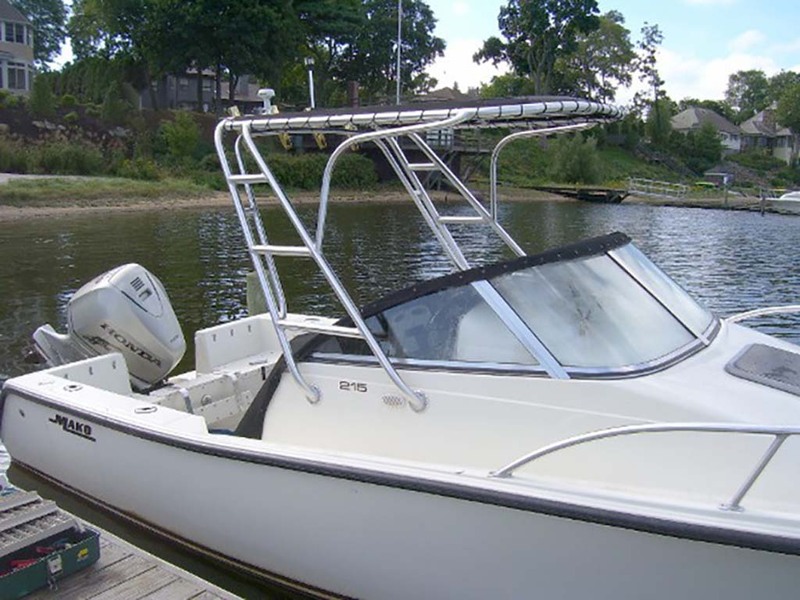 Draw string/line on bottom and tie downs approx. 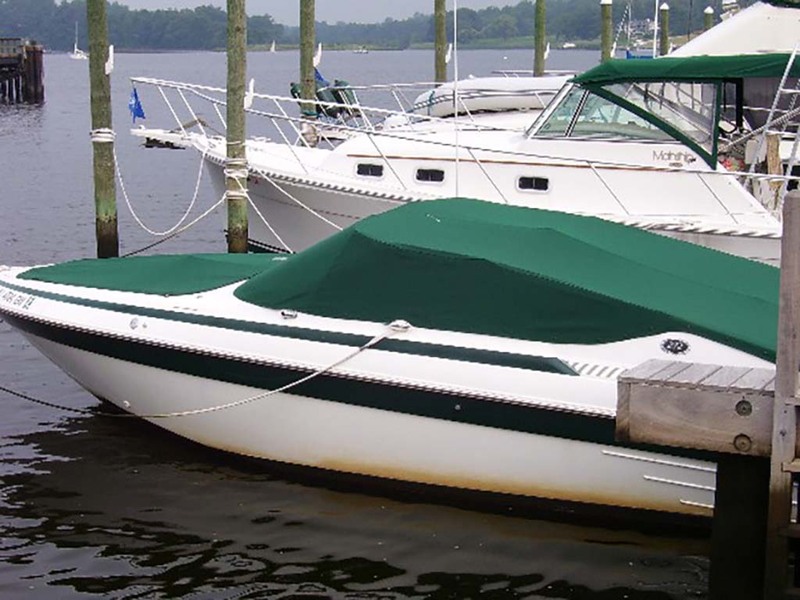 every 5' to insure a secure fit. 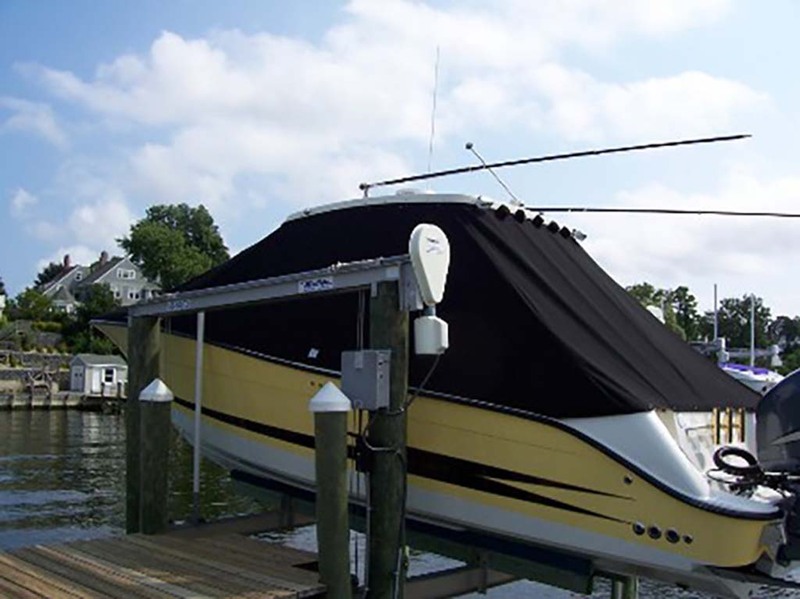 Includes one vent with screen on each side to vent heat and moisture. 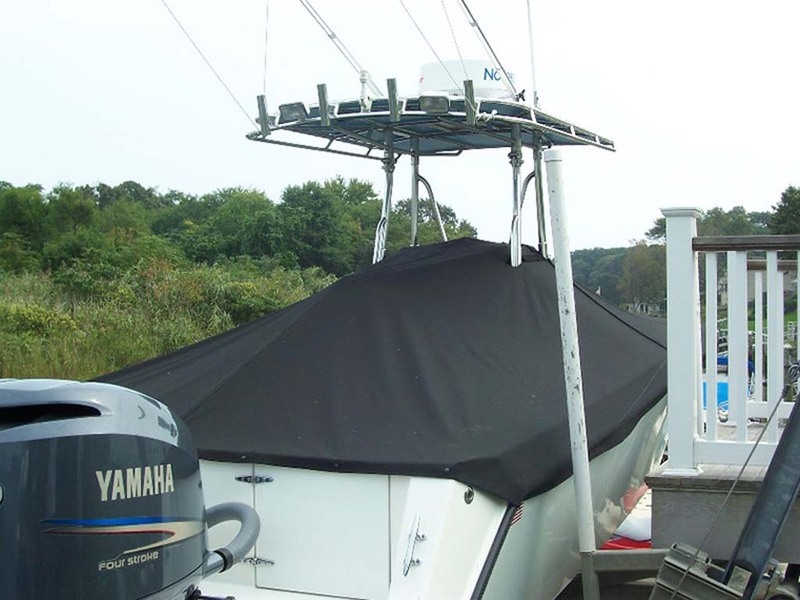 Reinforcements are installed where necessary. 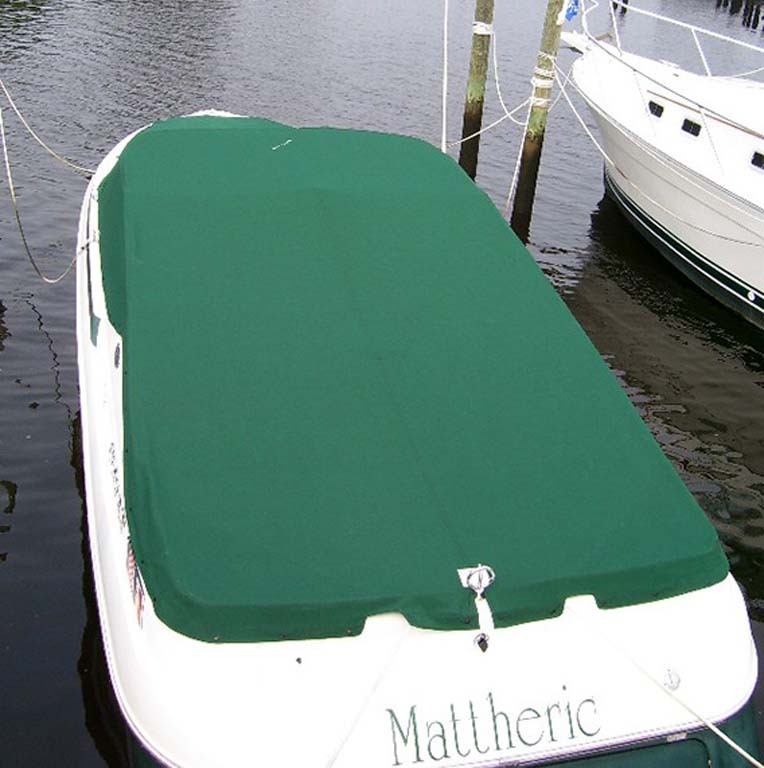 Cover fit to waterline or 20" above (for use in the water). 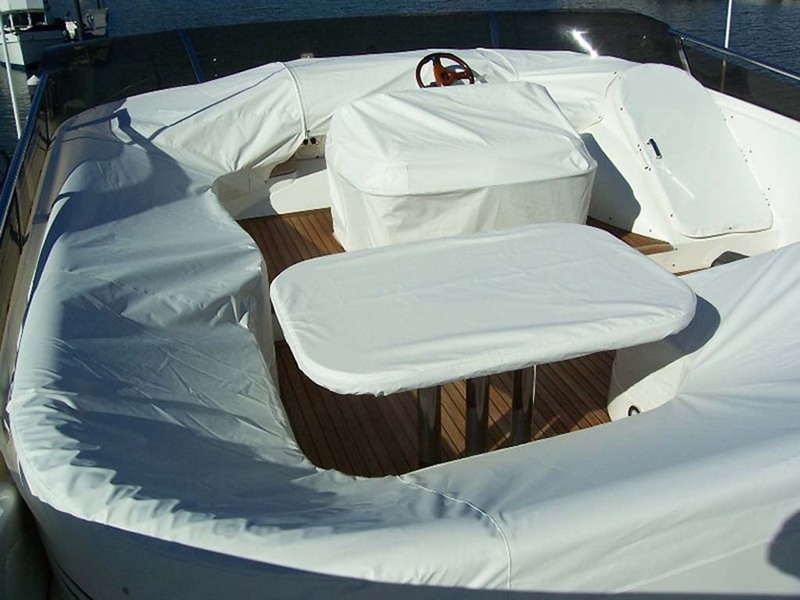 We have thousand of of patterns available. 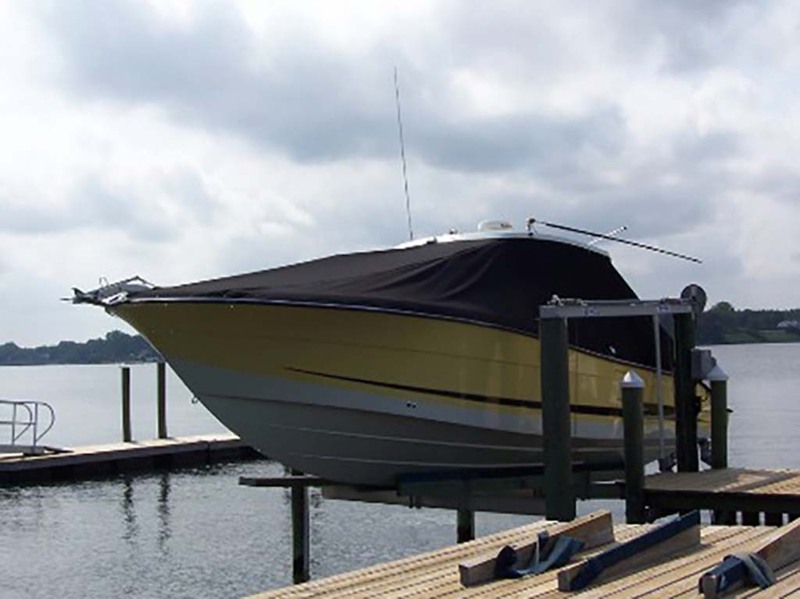 If your boat is not included, we can come and take measurements or instruct you on how to do so. 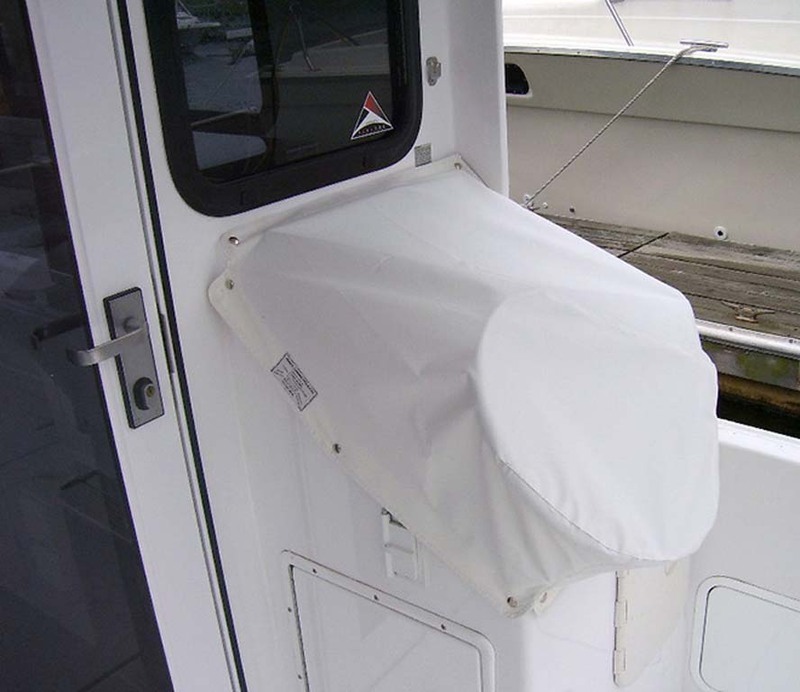 Optional: a zipper doorway can be installed to enable easy access while boat is covered. 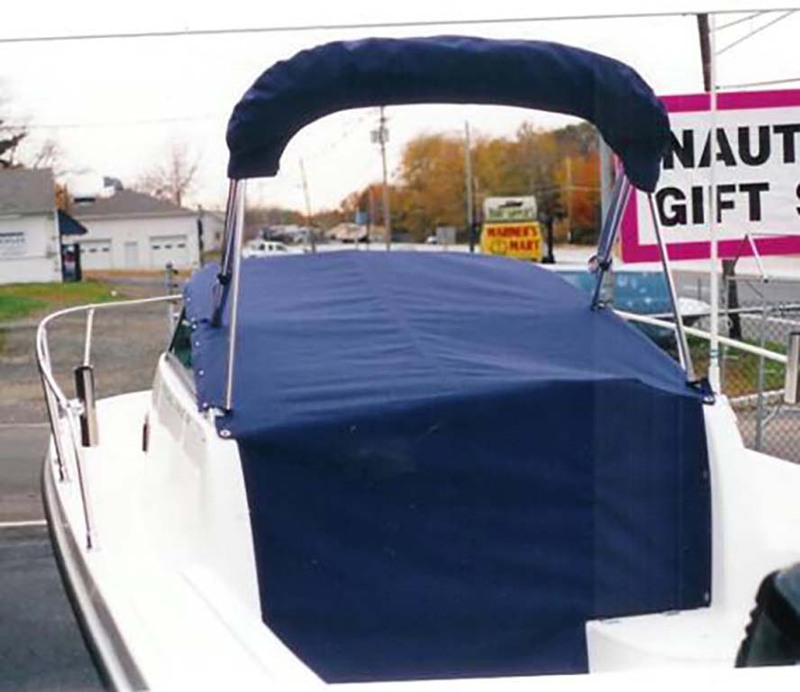 Pick up or UPS shipping. 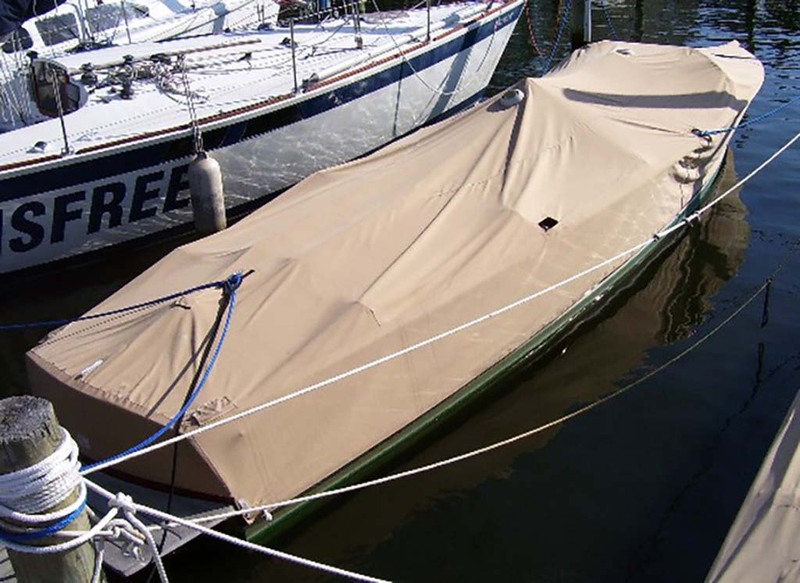 Mooring Cover - The covers are designed for "in water" stern access installation. 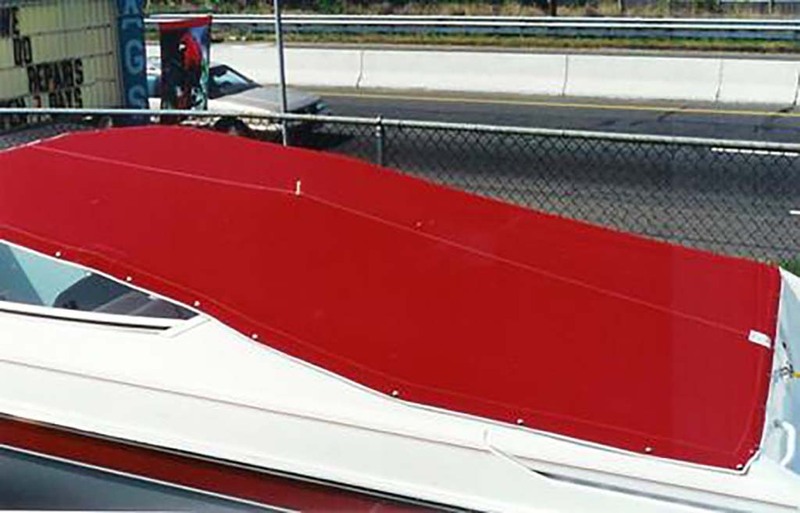 The boat cover on the left has two solar ventilators in it and the cover goes to the water line to protect the finish on the hull. 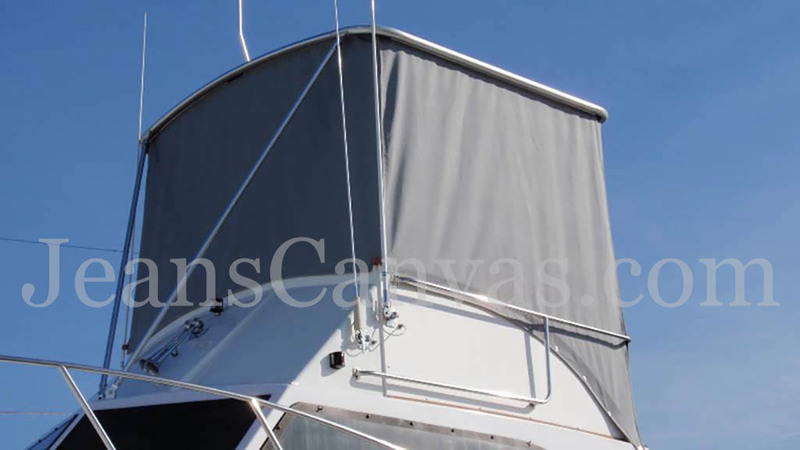 Our objective is to exceed your expectations & offer innovative ideas using state of the art techniques with the best quality products to design your custom canvas. 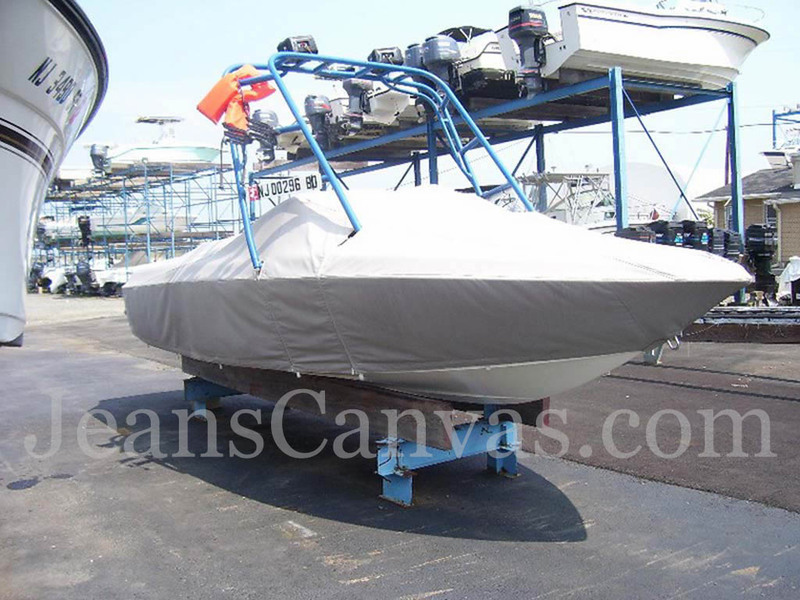 Our innovative staff has over thirty five years experience creating custom canvas for the Military, Government, Commercial, Marine and Residential Applications. 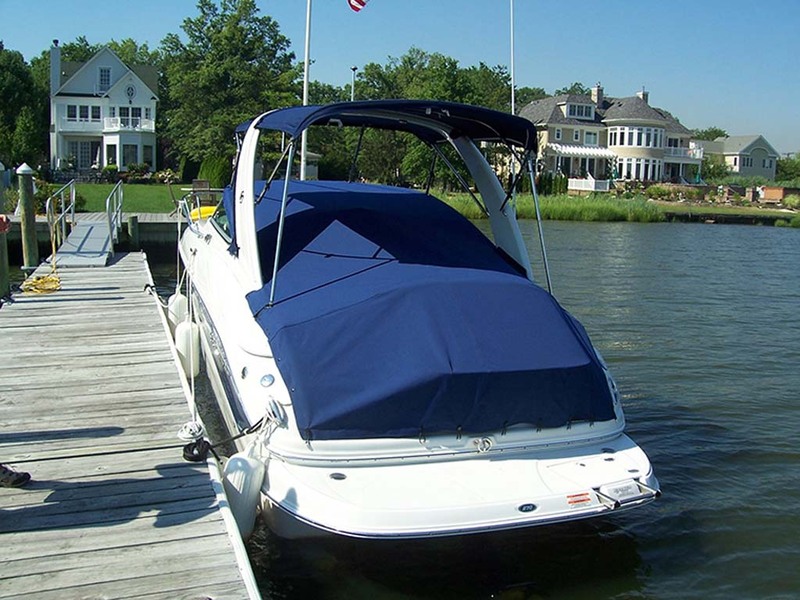 Sunbrella® image(s) provided by Glen Raven, Inc., owner of the Sunbrella registered trademark.